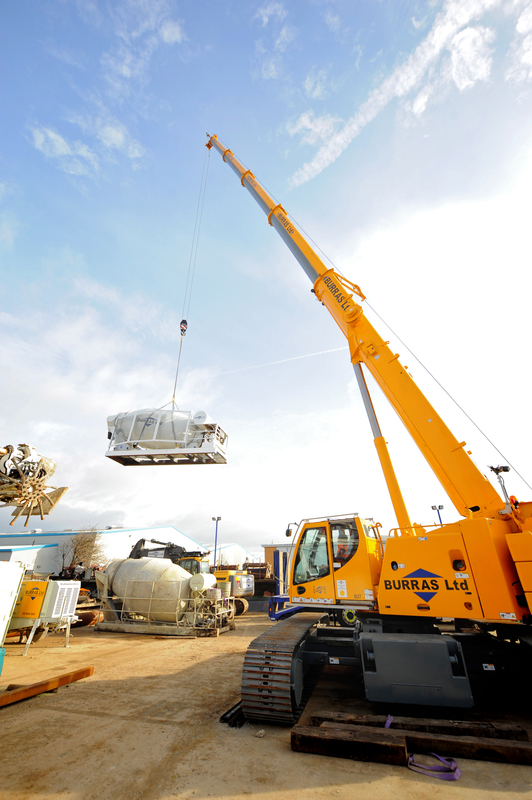 We have just purchased a brand new Leibherr LTR 1060 crawler crane to join our ever growing fleet. It can lift upto 60t @ 10.2m and 1.6t @36m. It only requires a 7m square working area meaning it is ideal to help construct basments with limited working space outside the perimeter. Visit our past work page to see it in action. 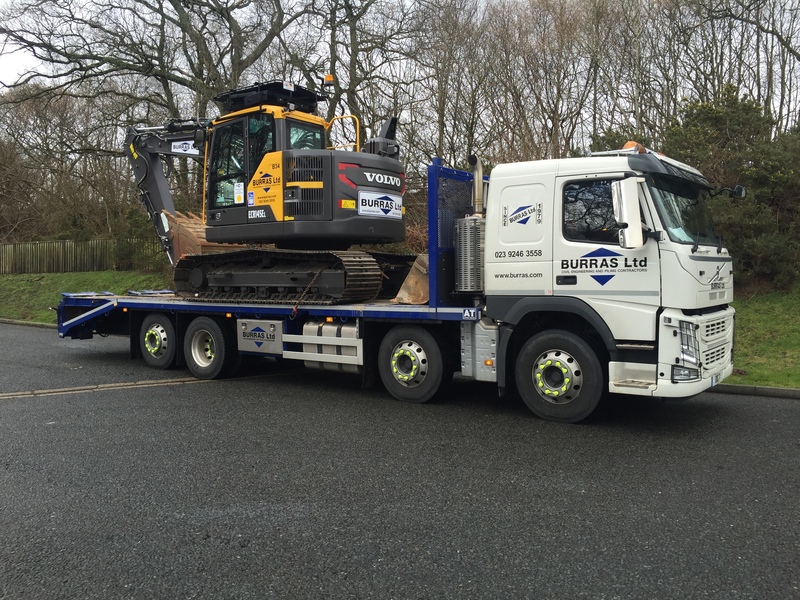 We have just purchased a new Volvo beavertail to replace our old Scania unit. We have just brought a new 55tonne Casagrande piling rig that It will alow us to install 750mm diamter piles upto 25m deep. Expanding are already growing portfolio of Piling Rigs. We have been working with Toorc Consulting Ltd and Soiltech on producing a new piling rig. As you know building basements with CFA piles is normally the most cost effective solution, however being close to boundaries and tree protection orders causes significant problems with clearances such that you have to either reduce the basement size or opt for the sheet piling zero rig which is very expensive (about twice standard sheet piling rates). Normally you need to leave a minimum 750mm from face of obstruction to centreline of pile thus nearest internal basement wall face to an obstruction is 1200mm or so. We have developed a piling rig that can now install 450mm and 600mm diameter CFA piles to within 15mm of any obstruction such as boundary walls, TPO’s etc, to a depth of 14.5m. Therefore face of basement wall will be circa 650mm from boundary, adding an extra ½ metre to the basement. At this depth of pile most residential basements and basement pools can be accommodated. 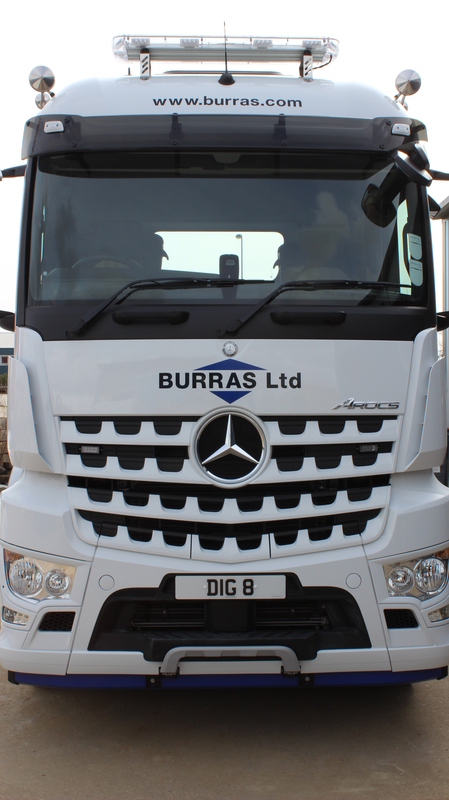 The rig will be owned and operated by Burras. The motor will not overhang the boundary therefore does not affect party wall awards which is the most common difficulty we face on tight urban sites recently. This is a way of reducing basement costs and maximising footprint on these tight sites.